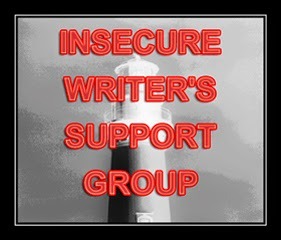 Alex J. Cavanaugh: Insecure Writer’s Support Group, June Movie Preview, Heroes of PHENOMENA, and New Releases! Yay for finishing your manuscript. Woo-hoo! I've already read Rachel's Don't Fall and LOVED it! So excited for her. And Tom Cruise sci-fi's are one of my weaknesses...I love them all. So I'm right there with you on watching it Friday. Can't wait! Congrats on finishing! I'm seeing The Day After Tomorrow as well on Friday -- it looks interesting. Congratulations on finishing your manuscript. And congrats to all the other featured authors as well. Thank you, one and all. Wonderful news. Much congrats. And that's what's great about writing, so easy to do whilst on vacation or any day of the week/year. Much congrats and boogie boogie. Hart is on book 10 already??? That's some work ethic right there. Awesome news, Alex! Congrats . . . and good luck with the revisions and add-ins. That's wonderful about finishing a draft. That first draft always seems to take so long, whether I get it done in a few weeks or few months. Great books news. I already have Sydney's book. 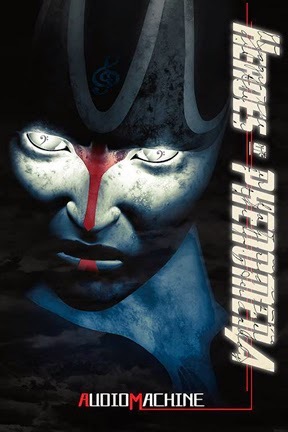 Congrats on completing your manuscript, as well as appearing in Heroes of Phenomena! It sounds like a great book for a worthwhile cause! Best of luck to all the authors! WooHoo! Congratulations Alex! I was on vacation last week too, only I didn't write a word on my current draft, but started a second one instead. Congrats Alex. That's an awesome feeling. And appearing in Heroes of Phenomena--so cool. Best of luck to all the authors. As for movies this summer, I have no clue. I think I need to catch up on all the winter releases I missed. Congratulations on finishing your manuscript! I want to watch Hot to Train Your Dragon 2, but I can't say I will. I haven't been to the movies since moving out to the farm. Glad to hear you finished the first draft. Congrats! Congrats also, to the authors of all the new releases listed! I am looking forward to watching the new Transformer movie and Tom Cruises' 'Edge of Tomorrow,' they both sound pretty good. Good for you on finishing the first draft. And look at all those other book releases! Edge of Tomorrow looks intriguing. I liked the first Jump Street film so this new one might be good. I don't think another Transformer movie is needed unless it's significantly better than the other ones. Vacation doesn't get much better than that. Congratulations on finishing the first draft. Good morning Alex. I am really looking forward to Edge of Tomorrow but I am REALLY looking forward to 22 Jump Street. The first one was beyond hilarious! Congrats on finishing. That's a great accomplishment. Congrats on finishing your first draft and to everyone with new releases! Yes, you were missed. Welcome back! Seems the time for vacations is now. Congrats on the first draft, that's great news. So happy for you, Alex. Rhonda, that's just as good. Lee, with the Transformer films, it's doubtful. Congrats on finally finishing! I've got one hanging over my head. UGH. Movies? What are they? hehehe Like I'll get to see one any time soon. Happy Wed & IWSG day! Congrats on finishing your manuscript. Sounds like you've got this one going well. Congrats to all those with books as well. From the previews Edge of Tomorrow looked like Groundhog Day meets Terminator. Excellent news on the latest novel. And I'll bet it was fun to tackle a new story in a new world. Congrats on getting the first draft down. Now you can join me in revision hell. :P Though I'm almost done. Whew. Congrats on finishing your first draft! That's always such a big breath of relief! You are always missed, Alex. No need to even wonder about it. Congrats on finishing your draft! So many new releases. This group is on fire! Congrats on finishing your manuscript. Great job! I didn't realize Shia wasn't in this Transformers, but I don't know if Mark W. can save this franchise. The first remains the best. It's been boring without you, Alex. Glad you had good break. And yay for finishing your ms. What a great feeling! Can't wait for How to Train Your Dragon 2. Congrats on finishing the first draft, Alex. The hardest part is done. Congrats to all the folks with new releases. I'm so excited about PHENOMENA!!! Been waiting for this for quite a while. And congrats on your finished draft. It's scary to venture outside your normal work. That's how we grow. Wow, what wonderful news!! Congrats on finishing the ms, Alex!! Crap! Two months in a row I've missed. Am looking forward to the Tom Cruise movie. Hope to see it this weekend too. Congratulations on the first draft, Alex! Hope you had a great bit of time off. And yeah, you finish, that's so inspiring. So many books coming out too! I will be seeing How to Train Your Dragon 2 with my son, he has most of the books. Edge of Tomorrow looks like a cool movie. Thanks for the shout out, Alex. I'm actually excited about Edge of Tomorrow. It's like a sci fi version of Ground Hog Day. My most anticipated is Terminator. Markie Mark can be annoying, but robots, man. haha. Can't go wrong. Brian, it will be out this week, so will add the link as soon as Samantha sends it to me. LG, fortunately I like the revision stage. Tracy Jo, such a cool place to stay. Jay, you will dig the music! Rusty, day's not over yet. Congrats on finishing your manuscript, Alex! That's such a great feeling, isn't it? I hope you're feeling refreshed from your vacation, too. Sorry I haven't participated in ISWG for a while - things have been crazy but I hope to do so next month! I missed 2 of the past 3 IWSG posts, but back on track today and talking about (of all things) deconstructing cartoons. Congrats on finishing the new manuscript, Alex! Way to go for finishing your manuscript! That's pretty awesome! So happy for you, Alex. Congrats for finishing the 1st draft! Congratulations on finishing the draft, Alex. You work at ninja speed, while enjoying a vacation too. Doubly impressive! Thanks for the link to the mean tweets. It's funny and mostly true. You were missed! Congrats, Captain! Wow, l@@k at all the great new books-off to gather some gifts for new graduates and Father's Day! How exciting-I loved what you shared and look forward to hearing more! Congratulations on finishing your manuscript! That is wonderful! As for describing something that no human has experienced, I would choose you for the task and trust that you would handle it perfectly and beautifully. Hey Alex! Big congrats on finishing!! And wow it sounds so exciting! I think writing things we're not used to helps us really grow. I'm looking forward to HTTYD 2!! And that Phenomena project sounds amazing. What an awesome cause! The director and the voice of the dragon are small town Canadian boys. Makes the rest of us feel hopeful. Congratulations on finishing your ms, Alex. Way to go! WOW! Love that you finished your first draft! Congrats. Glad you had some time away. Can't wait for more DRAGONS! Look at all the new books coming out! Congratulations on finishing that first draft, Alex. I plan to finish mine this month (keep your fingers crossed for me). I am super curious to read that scene that you have described as something that no human has experienced. Trying to work the layout of my first poetry book...and yes, a bit insecure of getting it right. But am closing in on a title for the compilation. Congrats on the manuscript. Always is great to hear of that accomplishment from others....shows we can do it. And thanks bunches for including me in the line up today!!! I really appreciate it! *sings Irene Cara* What a feeling! Major congratulations on finishing your novel. We have had a similar time frame writing but I'm not done yet, waah. Getting closer, though! So what's the next step for you? I thought 21 Jump Street was so funny and I can't wait for 22 to answer all the unanswered questions. Ha! You are back! And, yes, of course you were missed, but you've returned with a completed ms and all kinds of good news. I've still got X-Men on my list. Maybe in June I'll have some time. I'm putting a positive spin on my Insecurities this month. Congratulations on finishing the first draft. Now the hard part is coming!!! My daughter has been talking about How To Train Your Dragon 2 for over a year. We're all ready to see it now. Yay for finishing your manuscript. *Doing a little dance here* Have fun adding the subplots and polishing. Very exciting. Looks like some awesome new releases, too. That CD/book compilation sounds exciting, as well. Go Alex! Congrats on finishing the manuscript and welcome back! Hmmm, something no human has ever experienced... Laughing at a new Adam Sandler movie? Playing a Justin Bieber CD cover to cover without vomiting? I agree that it must feel good to finish the first draft! Vacations can be good for many things including relaxing. I hope you have a primo rest of the day. Congrats on finishing the manuscript. The other work can be done but I never know for sure if I'm going to be able to finish until I do. Anything that promotes creativity is good so Phenomena sounds like a great project, congrats on your inclusion. Good luck on your new draft. I think it's great to try something new--to stretch yourself. Wow, look at all those new books. I'll have to take a closer look. I loved the first How to Train Your Dragon. Congratulations on finishing the manuscript! That's so exciting! And Phenomena is an intriguing project, so congratulations on being a part of that as well! Congrats on finishing your MS!!! Congrats on finishing your manuscript! 22 Jump Street and How to Train Your Train 2 sound interesting-especially if 22 is funny. Julie, no worries! Just sign back up. Sheri, it will be all right. Heather, that made me laugh! Jennifer, revisions and additions are next. Shell, it was fun writing the story for that book. Brandon and Bryan - now that really made me laugh! Welcome back. I am so happy for you on finishing your rough draft. Since I changed my schedule my revisions are coming along better. I just want to take a moment and apologize for not having an IWSG post for today. My insecurity over the rest of my life is rampaging all over my blog. I will be back next month! Way to knock that WiP out of the park. I too will be seeing Edge of Tomorrow AND HTTYD2. Wouldn't miss it! Alex- Terrific job finishing! I'm still trying to find the time to finish my 5th novella in my elf series. Hoping to this week. Congrats on the manuscript and being included in that book. I am so excited about How to Train Your Dragon 2! Congratulations on finishing your manuscript! Can't wait to see How To Train Your Dragon!! Congratulations on finishing your manuscript!!!! There are so many great book released now. It's hard to keep up. The Edge of Tomorrow looks awesome & the adorable How to Train Your Dragon! I'm promising myself a trip to the movies this week. As for my ISWG post, it's going to be late. Computer problems, so I'm heading home to finish up there. UGH!! Glad you finished your first draft. Wonderful that you finished your manuscript and enjoyed a vacation as well. Good luck with the revisions. It's always exciting to have a new book! Congrats on finishing! That's always a huge relief. You deserve some chocolate for that one. I recognize a lot of those new releases. Congrats to all the authors!! I'm not a huge Tom Cruise fan but this film looks really, really interesting. I suppose I'll give it a chance. Super pumped about 22 Jump Street. I had no expectations for the first one and was pleasantly surprised. Congrats on finishing the first draft! This calls for a Kirby dance. W00T! on finishing your manuscript and Phenomena. I've seen several of the our group's new releases the past week. Some are really eye-catching. Sis-boom-bah guys and lady guys. Congratulations on finishing your first draft, and glad you had a nice vacation! Looking forward to some good movies this summer. Congrats on finishing your manuscript! I wish I could write that fast. Okay, so, I haven't adjusted to it being June, yet, so I completely forgot IWSG. But, now, I have a topic for July! I'm with Andrew and totally forgot IWSG today. I'm still on May time. But congratulations on a job well done on finishing your next project. You are such a fast writer. I admire that in you. Congrats on finishing your draft, Alex! And thank you so much for the book shout! A new one? Already? Congratulations! Thanks, Eva! I will go get it. Samantha, I thought the first Jump Street was funny. Christine, yet another SyFy Craptastic film! Patricia, that made me chuckle. Andrew, you're all set then! CONGRATS on finishing you MS! That's fantastic! Congrats to ALL who are putting out books this week. The numbers keep going up! All the best to you guys! Can't wait to see, HOW to TRAIN your DRAGON 2... It looks great. Saw Malecifent on Sunday with Melissa Bradley. WE REALLY LOVED it! I want to see it in IMAX now! Transformers looks awesome too... Can't wait! Yeah for finishing! That's AMAZING and I'm so happy for you!!!!!! Way to go. Any movie where Tom Cruise dies repeatedly is good in my opinion. Congratulations on finishing your manuscript Alex, that's awesome! Finished your rough draft? Good Deal. That must really feel good. Only movie that I really want to see is "How to Train Your Dragon 2', if I can find the time, that is. Congrats on finishing your MS. Way to go! Of course we missed you! It just isn't the same around here without you. Glad you had a good break. Congrats on finishing the manuscript! WTG on the finish, Alex! We will probably see the Transformers movie (I have two teen boys after all). Trying to figure out if I'm more insecure about failing or succeeding at writing. You do so much for others, I'm glad to hear your took a little time for yourself! Woot woot! Yay for first draft completion! I am glad to hear you finished your manuscript on time. That's so cool. And congratulations about the short story. I learned to love Audiomachine. They are really great! I'll be downloading the book. Hi, Alex. That's great that you finished up your manuscript. CONGRATS to everyone with new releases. Congrats on finishing that first draft. Glad you enjoyed your break. CONGRATULATIONS!!!!! That is SO huge!!! I can't even imagine how great that must feel- swim in it! And congrats to Sam- I'm not surprised she managed another amazing collaboration. Welcome back, Alex! And congrats on finishing your manuscript! I finished mine this week too! It's a good feeling, huh? But, like you, I have to revise and add scenes and more world building. Good luck with the revisions! Michael, glad you and Melissa enjoyed it! Al, you had a story with them as well, which is just awesome. Kristin, it feels awesome - congratulations. Crystal, I know the song with my story is epic. Congrats on finishing your first draft. I'm looking forward to experiencing Phenomena. I'm kinda excited about the new movies, kinda not. The new book releases look good and even though I have my insecurities, I too happy with the anticipation of summer vacation to worry about them right now. Yay to getting the 1st draft done! Wow, there's a lot of great books coming out - congrats to all! Woo hoo! Congrats on finishing your manuscript! Really interesting to describe something that no human being has ever experienced! That's great Alex! Congrats! Finishing your manuscript is a feat many are trying but few made starts let alone finishing them! Congrats on getting it finished. Looking forward to that Tom Cruise movie. Been a while since I said that. Congrats on completing your novel. Sounds like you had a real challenge. Good for you for finishing! The world needs more space operas :). I hope you're having a nice vacation. Congrats on finishing the manuscript! Also an exciting line up of movies but will have to wait for the dvd release to see. Yay for you! That's awesome! Congratulations on finishing your first draft! Knowing Michael Bay, I'm sure the newest Transformers movie will be full of explosions and action just for its own sake. I missed you. Congrats on finishing your book. I'm looking forward to Transformers and am so glad LaBeouf is not in it. Thanks for sharing my new cover, Alex. Congrats on finishing your manuscript! Congrats to all with new books! Woohoo! Congratulations on finishing your MS, Alex! I always feel insecure when I start, but get into the groove the deeper I go. Congrats to the new releases! I did miss you! :) Glad you enjoyed your vacation and congrats on finishing that draft!!! Great feeling. I can't believe they're making 22 Jump St - I couldn't get through the first 10 minutes of the 1st one! Toi, you will dig PHENOMENA! Moody, that made me chuckle. Carrie-Anne, I expect nothing less. Congrats on finishing your manuscript! ^_^ Naturally there's still more to do, as you said, but finishing is enough of a hurdle to celebrate. Congratz on finishing. I wish I was there myself. I can't wait to see what you put out. Oh, wahoo for finishing your first draft! That's exciting! My computer took ages to get your site loaded up. I must get a new computer when I finally move. I don't know how you do all of this. I have been commenting on sites for over ten hours and barely made a dent in my emails. Almost three in the morning and I finally get here. I'm most pleased that you got the first draft basically done. I'm glad you had some time to relax. Yes, I was very aware you were missing. I hope you understand, but I was heartened to see you away for a bit. I want you to take care of YOU! Thanks for all the links. When it comes to writing, I'm only worried that sometimes my postings can be misunderstood. Or why didn't I add this or that to a posting. I cannot afford to go to the movies. You know what? You're, right. You are a slow writer. Congrats on finishing up this latest 1st draft! I do recall that you started it a while back, and this is proof that I'm not the only slow writer out there. Someday, I'll finish my 1st draft, too. I just hope I'm not old and gray by then, but if I am, then I am. congrats finishing your first draft!! I hope you celebrated! There's some great movies coming. I'm looking forward to many of them, in particular, Edge of Tomorrow. Three cheers on finishing your first draft. Completing this first step is often so important and is just as often a mark missed by those who just don't make it to the end, for whatever reasons. Any movies I see will probably be for aesthetic purposes only (fanservice for girls looking at Wahlberg). The exception would be HTTYD2. That one would be for pure movie-watching pleasure. Describing something no human has experienced would be daunting! The closest I came to it was telling a tale in first person through the eyes of a fallen angel -- how to describe that unique perspective was certainly a challenge! I am looking forward to EDGE OF TOMORROW and HOW TO TRAIN YOUR DRAGON II -- I mean it has Cate Blanchett in it!! She is to me what Miss Beckinsale is to you. Congrats on finishing your first draft. And best of luck to all those with new books being released. That "first draft done" is a great feeling, isn't it? Well done. And I can empathize with the hesitation about taking a different line after a series. I started a sequel to Ghosts, then deliberately went off to complete a different story first so as to establish some diversity at the outset. I plan to get back to the sequel next. I just gotta wonder why anyone believes in Scientology when key figures like Hubbard and Cruise are big names in the science FICTION industry, too. Congrats on finishing your manuscript! That's huge! You're so productive on your time off. I listened to some of the Audio Machine album, and it's really intriguing. It seems like great music to write to. Congratulations! You did it! Like there was any doubt. And so cool about your contribution. Let us know how the Tom Cruise flick is. I usually enjoy time travel stories. Thanks for dropping by today! Alex, you are always missed! CONGRATULATIONS on finishing! Wow, so very, very, exciting!!! How wonderful you finished your manuscript! Doesn't it feel great? Now there's just the editing, the polishing... (Sigh) Seriously, though, congratulations. The one movie I know I won't see is the Transformers one. I can barely watch five minutes of the earlier ones when I'm channel surfing. I mean, someone was paid to write these stories? Seriously? Hurray for finishing first drafts! And the crowd cheered!!!!! I missed this month's IWSG post. I've had a ton of posts to schedule, stories to ghostwrite, and the in-laws have been staying till last night (for ahem, a wonderful month!) so I just couldn't fit it in. So glad you enjoyed you break (in spite of the fact that you worked!) - Great to have a finished first draft... But I hate what comes next (although you don't I believe?). I visited the PHENOMENA site last time you posted about it. I loved the music - very inspirational for writing - moody! I added it to my wishlist. But I couldn't find where to download the book? Must have missed it? Will try again. Yay for finishing your manuscript! I'm looking forward to seeing Edge of Tomorrow, not so fussed about the others! Congratulations on finishing Alex! That is a huge achievement!! Congratulations on finishing your manuscript! That's my favorite stage of writing -- when the first draft is complete, I know the story exists and I really can finish it, and I usually have plenty of ideas how to make it better. Diving into a second draft with a plan is always exciting for me. Mason, true. Although this is something even more far removed than say teleportation that it really had me worried. Gary, takes Ninja skills. Thanks, I did take care of me last weekend. And I've never had trouble understanding your posts. Cathy, we're just careful writers! Roland, was the fallen angel sad or bitter? Sleepy Bison, you said it! Michael, it was excellent music to write to. Helen, and they've made two billion dollars! Shah, no worries. And the book will be available this week - I'll post the link when it's live. Congrats on finishing your draft! That's a great feeling. Congratulations on finishing, Alex!! That's fantastic!! And congratulations to Samantha - amazing project - and all of the writers with releases this week. It's another great week! Edge of Tomorrow can be spectacular! How To Train Your Dragon is one of my favorite movies. I'll definitely be there to see the second. You know, a date with my inner child :) Tom Cruise repeatedly dying...hmmm, this movie has potential. A Transformers without LeBeouf OR Megan Fox??? Sign me UP!! Congrats on being done with the manuscript. Wishing you many sales when it hits the market. I didn't see 21 Jump Street, but my older (grown) kids did and they were laughing all the way through. I bet they'll like the new one too. Congrats on completing the first draft. The first draft is always the hardest for me, probably because I want to go back and start tinkering before I'm done with it. Edge of Tomorrow and How to Train Your Dragon are both movies I want to see - after Xmen. Dianne, it's my favorite part as well. Jen, I think that's Transformer's biggest selling point. Jeff, I just have a hard time getting my thoughts on paper. Samantha, I'm very excited about the book! Congratulations on completing the first draft of your manuscript! That had to be a lot of writing! Congrats on finishing your manuscript and thanks for your words of encouragement. Edge of Tomorrow and Dragon 2 are must sees for me. June 22 if I can afford it. Sorry Transformers, not likely. Woot woot on getting that first draft done. I'm still slaving and sweating over mine. Congrats in finishing! Drafting is usually the hardest part for me; it just takes FOREVER. Congrats on finishing your first draft! Lots of new releases! Those covers look FAB! LOL! My eyes played tricks on me -- I thought you were posting about the Judi Dench movie, Philomena. What??? Congrats on completing your manuscript now comes the editing.. I will totally skip Jump street 22. I will enjoy all the others. Glad to see you back. Sherry, it's the shortest manuscript I've finished so far, but it felt long. GB, not easy for me! Congratulations on finishing the first draft of your new book! It's such a great feeling to get to the end. Thanks for stopping by my blog! I appreciate the encouragement. Congrats on finishing the ms. Whoop whoop. Congratulations to you!! That's a huge accomplishment. Whew! Thanks for the summer movie rundown! I think I'll either keep returning to this post or copy it out to my calendar. Some good stuff, I think. Joining the #IWSG a couple days late (the story of my life), but nonetheless I am here. 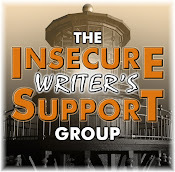 Writing insecurities? Getting started. Movies? We downloaded three new ones: The Monuments Men, Jack Ryan: Shadow Recruit, & Non-stop. We will watch at least one of these tonight. Thanks for hosting & encouraging the rest of us to keep at it! One more thing, congrats on getting the first draft completed! 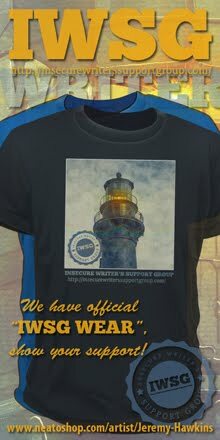 Lori, thanks for joining the IWSG! Elizabeth, not a lot of movies, but some solid ones. Cathy, glad you joined us. And the Jack Ryan movie is really good. Laura, the editing is the easy part for me. Yay for finishing your manuscript. Enjoy the revisions. I hope to see The Fault of our Stars in June. Congrats on finishing yet another one, Alex! I remember early in your career when I first met you in blogland, you always said it would be just one book. Ha! Congrats on finishing your new novel!!! Congratulations on finishing your manuscript. I hope you enjoyed your vacation. I can't wait to see 22 Jump street and the new Transformers. It should be good. Oh my goodness, am I your 200th comment-er!?!? Yay!!! Awww Capn Ninja!! I totally missed you on Mondays so am catching up now! Ah - but you have been on holiday! And also been A Very Busy Capn!! HUGE congrats with finishing your ms!!!! But then again you are the Ninja One!